Craveable Support – Here to help. Message us today. If there is a problem, yo we'll solve it. Craveable Support is your one stop shop for any Technology related issue or service request you may have. There are around 30 of us here in Sydney, Perth and the Philippines, all working hard, having fun and taking our brands and restaurants into the future while adapting to whatever comes our way. Ensuring our brands are at the forefront of technology is at the core of what we do. Which means thinking big, thinking fast- and doing both every day. Our front line support team are at the forefront of everything tech. A team of super nerds who look after support for RSC and restaurants. Our super security nerds are highly skilled & dedicated to fighting off attacks and unauthorised access for our RSC and Restaurants. The Digital Team are responsible for everything digital. This includes email campaigns, SMS, customer analytics, to name a few. 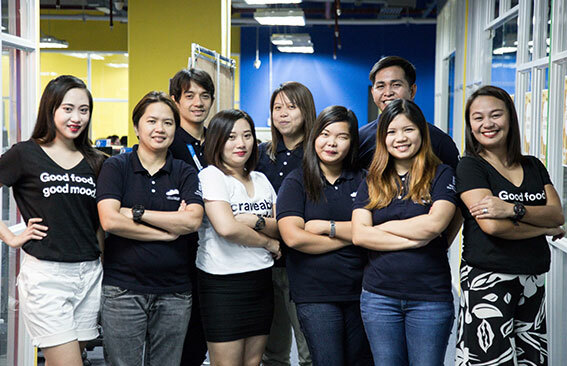 This Team of data specialists maintain our POS, delivery menu and national deployments. You'll find them burning the midnight oil for POS go-lives. These guys are the nuts and bolts behind online orders. The team are responsible for site improvement and are key to operate our delivery network. We have a dedicated steering committee for everything tech. Our Heads of department and Managers steer the ship and keep us on course.